In the previous chapter we discussed the structure of a sequel. Now lets talk about what a sequel does and how it does it. "Sequels, frankly, are what really make or break books. How you choose to show your reader your character's reactions determines everything about the reader's response to the events of the story." - Readers identify with characters. Sequels are where your readers bond with your characters; they are where, hopefully, readers will come to empathize with them. This is where the bulk of a character's development occurs. - Time can move rapidly. Scenes are time-unified. If you want to skip forward, say, a week, that should happen in a sequel. - Pacing. We use sequels to control the pace of a story. Long sequels slow down the pace while short ones speed it up. - Fine tune your novel. By varying the amount of time you spend of each of a sequels parts, by varying your emphasis, you can change a flighty character into a brainy one or make a despicable character likeable. Lets take a look at each of these points. 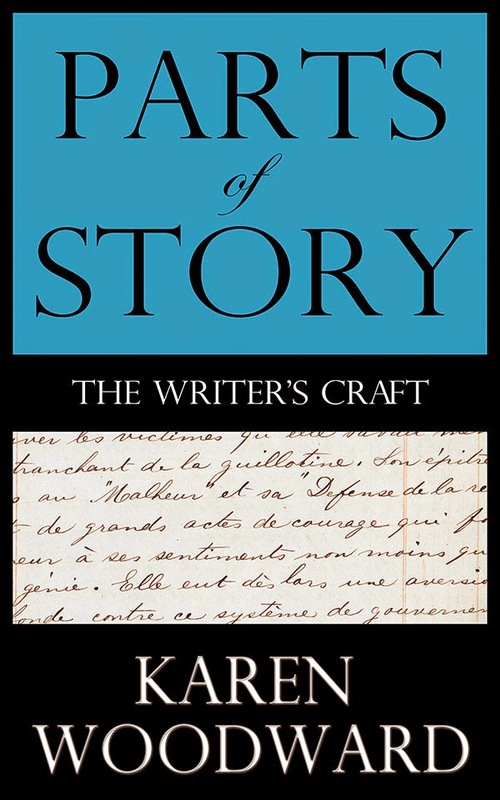 In Dwight V. Swain's book, Creating Characters, he writes that emotion is what gives a character direction. If, at the end of a scene, a bully has just kicked sand in your protagonist's face--or murdered their spouse--that character is going to be in pain and, consequently, motivated to make sure the killer pays for his actions. In short, strong emotion gives a character direction. Further, in a sequel we get to show the kind of things the character dwells on, the sort of things he responds to. As characters reflect on the events of the previous scene each will focus on what, given their specific nature, was important to them. If a character is bloodthirsty she will recall her kills with gusto or longing. If a character is especially concerned with the welfare of others--perhaps overly so--she will focus on the harm she allowed to come to an innocent, perhaps ignoring the harm she herself suffered, or the reasons why the harm occurred. A scene is time-unified; there are no breaks, no huge gaps. One thing happens, then another, then another, until the scene is over and the protagonist's goal has been attained--or not. Sequels are places where time can be disjointed and move quickly. Character development tends to slow the pace of a story while action speeds it up. If you read a book and it seems as though you never got to know any of the characters, not enough to really care about them, chances are there were very few sequels in the book, or the sequels were short and insubstantial. On the other hand, if a book seems to drag, if it seems to explore the relationships between the characters ad nauseum, if there are short sprints of action followed by endless second-guessing and rumination, then chances are you'll find that it has long involved sequels and short scenes. "This basic structure for sequels is pretty much the ENTIRE secret of my success. I do it like this in every freaking book I write. I know it works because check it out. People like my books. They like them for some of the special effects, sure, and for some of the story ideas sometimes--but mostly it's because they find themselves caring about what happens to the characters, and that happens in sequels." I think Jim Butcher is underestimating the appeal of both his unique voice and his wit, but that's still a powerful recommendation of sequels. I encourage you to read Jim Butcher's discussion of sequels in it's entirety. I'm not going to go into it in any depth here, but one of the most valuable things sequels can do for you is assist you in fine-tuning your novels during rewrites. For instance, if you're writing a romance novel and there isn't enough pathos, enough passion, make the sequels longer and focus on your characters' emotional reactions. If the pace is lagging, make the sequels shorter. Here are a few character types Jim Butcher mentioned, types that can illustrate how sequels can help you shape a character. - Decision/Choice: Normal or Light depending on what you want to do in the next scene. It's no surprise that brainy characters will have more substantial Cognitive Reaction sections. Jim Butcher adds, though, that it's a good idea to play up the anticipation part. Build suspense, tension, around what is going to happen when the protagonist makes her move. The result? In Sir Conan Arthur Doyle's Sherlock Holmes stories the great detective hates explaining his method because then his amazing conclusion seems like a cheap trick, it seems as though anyone could have done it. It's the same here, by veiling exactly how the protagonist came to their conclusion the feat looks more impressive and generates curiosity in the reader: How'd he know that? This helps build suspense. By withholding a character's final decision from the reader, when that character goes into action in the next scene you know they've made a choice and you know what the stakes are but you don't know what their decision was. That makes a reader curious, and that curiosity will make them want to turn the page. If your character's motivations aren't clear then make sure that the stages of your sequels are in the right order (Emotional Reaction then Cognitive Reaction then Anticipation then Decision) and that his choices are consistent. For instance, if your protagonist is a hero's hero type (lawful good) he probably wouldn't choose to endanger the life of someone else even if it meant his death, except in extraordinary circumstances. I just finished reading George R.R. Martin's interview in Rolling Stone and he reminds us that even the best character can do horrible things given the right (or wrong) circumstances. Martin asks: If you could save the lives of your lover and your children by killing another man's child, would you? It's an excellent interview. In a murder mystery novel, the cognitive reaction part will receive a lot of space and each possible murderer is going to be given a lot of attention. But, as Jim Butcher points out, writers usually veil the "choice" aspect and keep their sleuth's best guess about the identity of the killer as surprise for the reveal at the end. That's when the sleuth explains his methods and how he came to figure out the identity of the murderer. It isn't that heroes and heroines in romance stories are any less brainy than those in murder mysteries, but readers of romances are more interested in the interpersonal relationships than are readers of murder mysteries. Take, for example, a whodunit. As the name suggests, what the reader cares about is figuring out who did the crime. In such a mystery romantic connections that don't have anything to do with solving the crime would be an irritating irrelevance. Those are just a few of the many, many, ways sequels can be used to shape your characters and, thus, your readers reactions. Since writing these chapters I've begun seeing sequels everywhere, not just in books; TV shows and movies use them as well. In the next chapter we'll look at the stakes of the hero's quest. I've found out that writing a sequel is much harder than it sounds. I wrote one for my first novel, but I'm going to have to go back in and re-write it since it doesn't hold true to the themes and characters of the first book. Interesting! When I look back over my work I see that, even though I didn't explicitly set out to write them, my work contained sequels. That's how we write: action, reflection, action, reflection, action ... and so on. I think it probably works out best when we do it intentionally (although, perhaps not! ).